 I have an MBA degree and I am currently working as an HR Manager for a large IT organization based out of Ahmedabad.I intend to pursue my career after marriage and looking for someone who will appreciate living with a progressive,independent-minded woman.i am a confident girl with a great sense of humor. With a medium build and cheerful outlook towards life. I belong to an upper middle class, nuclear family having moderate outlook. My father has retired while my mother has passed away. I have two sisters, both are married.